In their respective artistic fields, Curlee Raven Holton and Keith Hamilton Cobb have both engaged in new interpretations of William Shakespeare’s Othello. In their public conversation, Holton and Cobb will discuss the agency of artists of African descent, and share the experiences that led to their Othello-inspired projects in printmaking and theater. Curlee Raven Holton (b. 1951) is an internationally-recognized artist, scholar, and educator. The subject of a recent retrospective at the Cleveland Institute of Art, his work employs powerful visual narratives to address significant personal, political, and cultural events. From 1991 to 2017, Holton taught printmaking and African American art history at Lafayette College in Easton, PA, where he also founded the Experimental Printmaking Institute. He currently serves as the executive director of the David C. Driskell Center at the University of Maryland. Holton’s Othello Re-imagined in Sepia, a series of etchings exploring the humanity and emotional complexity of the Moor of Venice, are the subject of an exhibition at the Mount Holyoke College Art Museum from July 17–December 16, 2018. Keith Hamilton Cobb (b. 1962) is an acclaimed actor and playwright known for his captivating television and stage performances. A graduate of NYU’s Tisch School of the Arts, he is admired for television roles such as Noah Keefer in ABC’s All My Children and the galactic mercenary, Tyr Anasazi, in Gene Roddenberry’s Andromeda. However, his life-long love of Shakespeare has also seen him cast as Laertes, Tybalt, Tullus Aufidius, Theseus, Oberon, Julius Caesar and other staples of the Bard’s canon. His award-winning play, American Moor, deals with issues of identity, representation, and racial bias as seen through the lens of an actor auditioning for the part of Othello. Cobb will be in residence at Mount Holyoke College and the University of Massachusetts, Amherst from November 2–12, 2018. 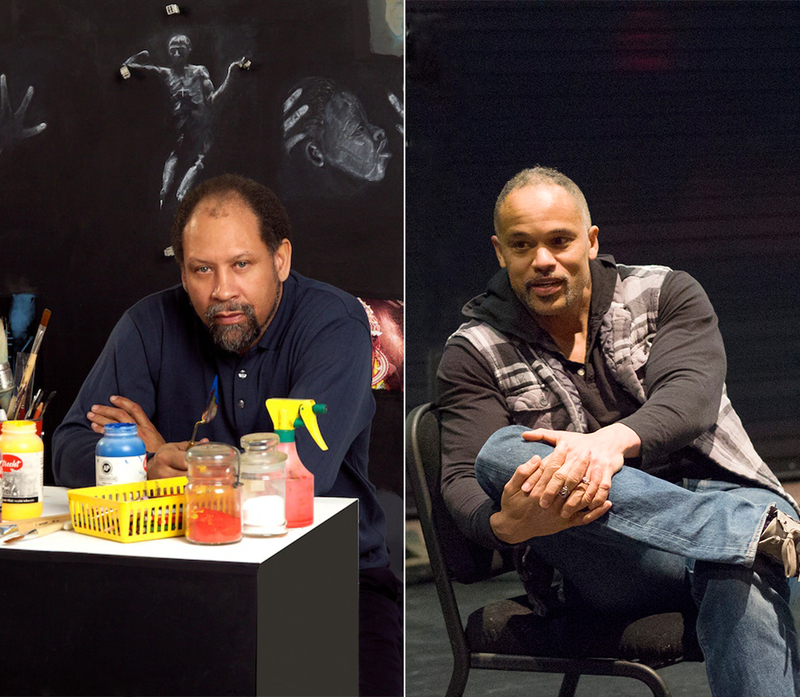 Public performances of American Moor will be offered November 8–11 at MHC’s Rooke Theatre.